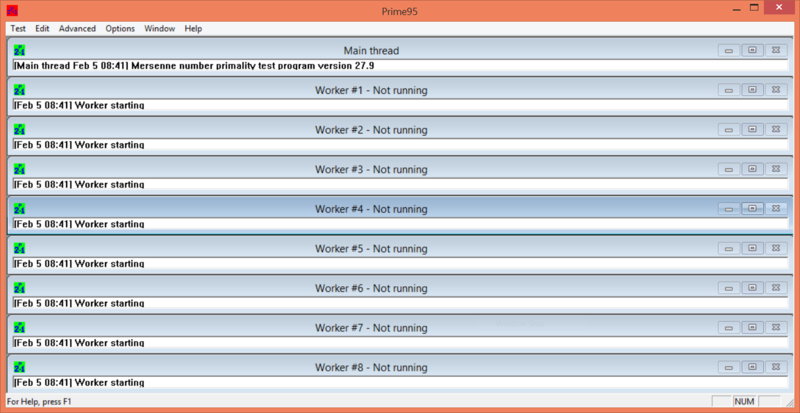 "Prime95 is a tool used to test overclocking stability, and find Mersenne Prime numbers." A Mersenne prime number, named after Marin Mersenne wheo studied them during the 17th century, is a number of the form Mn = 2n – 1. These numbers are very complex and take a long time to be solved. In fact, since 1997 all Mersenne prime numbers have been discovered by one company GIMPS (Great Internet Mersenne Prime Search). GIMPS uses the distributed computing method to solve for new Mersenne numbers. This method uses the computing resources of several computers tethered to a network all working towards solving the same problem. GIMPS developed Prime95 to assist this process. 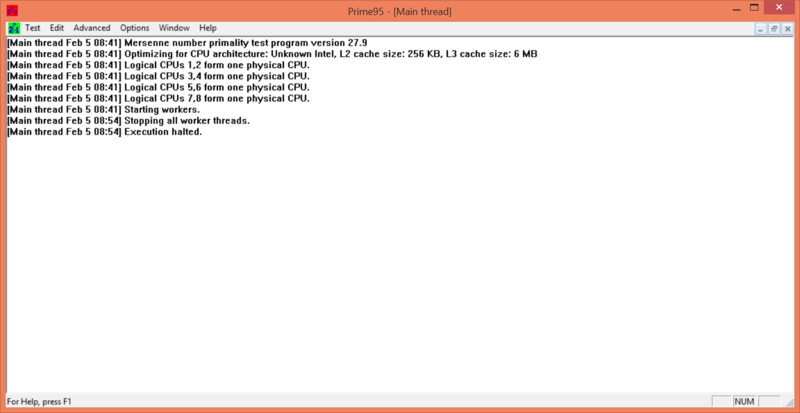 Prime95 is a tool used to discover new and larger Mersenne numbers. In order to be a part of the search, you must register with GIMPS. Then you will be able to access the server inside of Prime95. Finding new Mersenne prime numbers is not Prime95’s only use or feature; you are also able to stress test your computer for overclocking stability and capability. When prompted at the main screen, just select “stress test.” Prime95 is one of the most popular application for testing out the stability of your personal computer after you have safely overclocked it. The testing will ensure that your system will be able to handle the most intensive of activities after your have optimized your computer. It is recommended that you use some sort of cooling mechanism during both stress testing and finding new Mersenne numbers as your computer will be pushed to its limits often and can lead to overheating. Please note that the use of the prime number search function can greatly increase your electricity bill. Please have sufficient knowledge of the risks of using the application on a system that is potentially unstable due to an overclock.